perhaps history is an “Un-American Activity”. 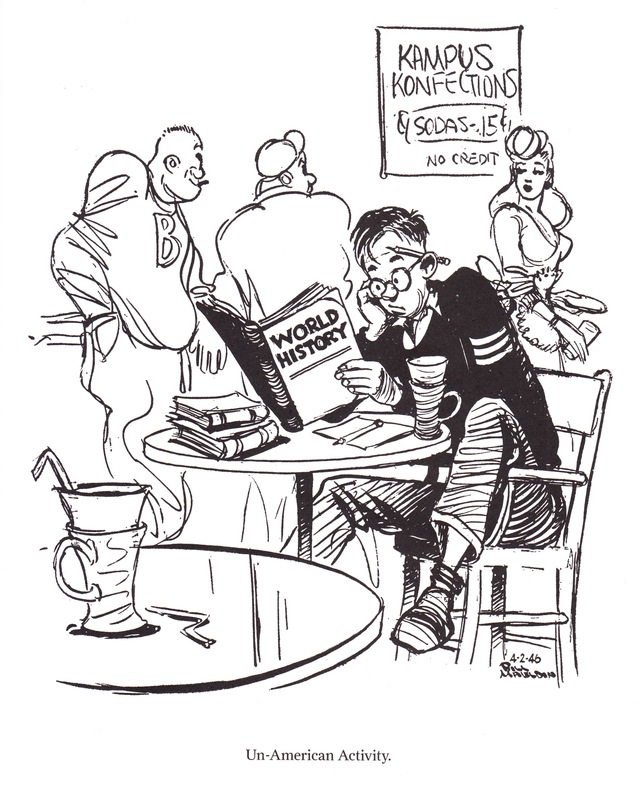 Mauldin’s cartoon* above, published 2 April 1946, anticipates the most egregious workings of the House (of Representatives) Committee on Un-American Activities and that of Senator Joseph McCarthy. But we’re not talking about some conspiracy of historians with Communists or terrorists here. I’m simply suggesting that history is not currently an American “thing”. By way of confirmation of this thesis, we read in October about Florida Governor Rick Scott wanting to reduce funding for teaching of liberal arts in that state’s public universities. And in April, Daniel Weiss, the outgoing President of my own undergraduate alma mater, Lafayette College, highlighted the challenges facing liberal arts education in private institutions. His six word summary: “The market is happening to us”. While these stories make no specific mention of it, it’s clear that the teaching of history, along with that of other liberal arts disciplines, is at risk of being downgraded (to oblivion…?) in both public and private higher education. But this problem starts even earlier – in public elementary and high schools – where students demonstrate distressingly poor performance in history. In results released in June 2011, the National Assessment of Educational Progress reported that just 20% of 4th graders, 17% of 8th graders and a really scary 12% of high school seniors demonstrated proficiency in history. The questions weren’t complicated: who was North Korea’s ally in the Korean Conflict? Why is Abraham Lincoln an important figure in U S history? What social issue did Brown v Board of Education address? A New York Times article reporting these results blames public policy for this failure of public education: No Child Left Behind places emphasis on improving math and reading scores to the neglect of other topics like history. I think Daniel Weiss’s formula “The market is happening to us” applies in the political / public realm every much as it does to private education. Popular perception (and probably the experience of a good many history majors…) has it that a history degree doesn’t predictably lead to a paying job. And that’s the whole story. Rick Scott said it: “So I want that [taxpayer] money to go to degrees where people can get jobs in this state.” Read this “STEM” – science, technology, engineering, mathematics. What should be the historian’s role in this brave new world of the hard-science dominated marketplace, if we are to avoid being condemned to relive the past we forgot (or never studied)? As I wrote on New Years last year, I believe that historians must come out of their ivory towers and bring history to the people. Popular history is often looked down upon by academic historians. Yet if the marketplace is well and truly to dominate even the historical scene, practitioners of the discipline must respond by creating products that will do well in a marketplace that is very full and very competitive. Last year I argued that it is past time for academic historians to get out their Powerpoint presentations and knock on the doors of local history groups, libraries, service clubs and PTAs. I also promised that they would be gratified by the reception they receive: people really are hungry to hear their history – so long as it’s even remotely relevant to their lives and presented in an accessible manner. There’s another thing – a lesson we can learn from the marketplace – that we need to incorporate in to our thinking. I call it the Google principle: you give away some useful product in order to gain customers. Historians must get used to doing some sort of free work in their communities if they are to earn the trust and respect of their communities of tax payers. Once the tax payers actually see what they are “buying”, historians will have gained a share of the marketplace. So, I propose a goal for 2013: each historian, from Department Head to first year graduate student will give three presentations to lay groups in their communities. Let’s flood our communities with knowledge of their past. Everyone will be the better for it; the outreach may begin a movement that proves the relevance and importance of the study and teaching of history in our marketplace nation; and historians may thereby assure that the practice of their discipline once more becomes an All-American Activity. * Cartoon is from DePastino, Todd, ed., “Willie and Joe Back Home”, a collection of Bill Mauldin’s post-war cartoons. Seattle, Fantagraphic Books, 2011. The hospital ship Solace, undamaged in the attack, began to receive casualties by 0825, and boats from the ship were soon picking injured sailors out of the oily and sometimes burning waters of Pearl Harbor soon thereafter, often at great risk to their crews. 132 patients were admitted aboard this ship and 80 men given first aid and returned to duty. U. S. Mobile Base Hospital No 2 had arrived at the Navy base crates just 12 days before the attack. But its personnel were able to break out needed equipment and supplies to care for 110 patients that day. The USS Argonne also set up to care for casualties, and later, with the help of medical personnel from other ships in the harbor, set up a sort of receiving and clearing station at the dock where she was moored. This open and uncovered area soon had about 150 cots set up for the injured and wounded. Under the direction of the Base Force Surgeon, these patients were moved to the Navy Yard Officers’ Club, a more protected place. By 1030, a functioning “field hospital” was operating there, stocked with necessary materials for the care of the wounded, injured and burned. The dock-side clearing station continued its work, however, sending the most seriously injured patients to the hospital; less severe casualties went to the Officers’ Club “Field Hospital” and to the Mobile Base Hospital. In addition to these naval hospital and hospital-type facilities, a few patients were sent to the Aeia Plantation Hospital and the Kaneohe Territorial Hospital for the Insane. 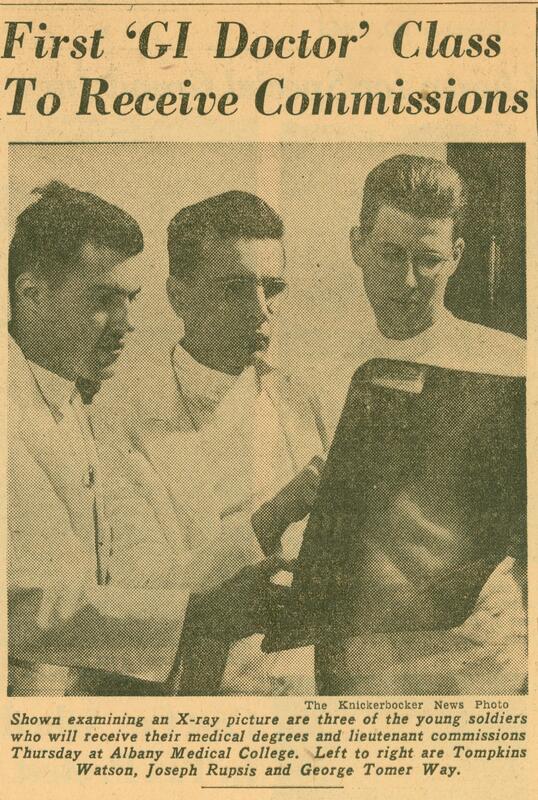 These men were later returned to duty, or transferred to the Naval Hospital. About 60% of casualties that day were burn cases, some from burning fuel oil; many more, however, were “flash burns” caused by exploding bombs or gas fires. Traumatic amputations and compound fractures were frequently seen as well. 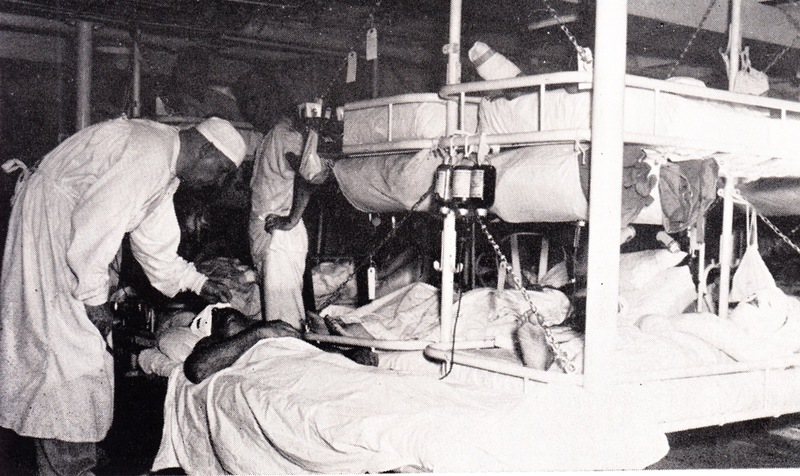 Altogether, nearly 1000 men were admitted or cared for at Naval hospitals and organized facilities in one 24 hour period. 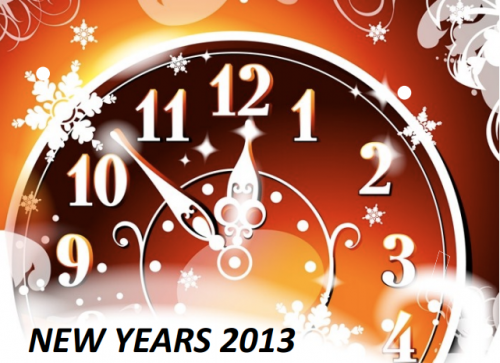 (1) http://www.history.navy.mil/faqs/faq66-5.htm, accessed 7 December 2012. (2) “The History of the Medical Department of the United States navy in World War II – A Narrative and Pictorial Volume” (Navmed P-5031), United States Government Printing Office, 1953, Volume 1, pp 63-66.